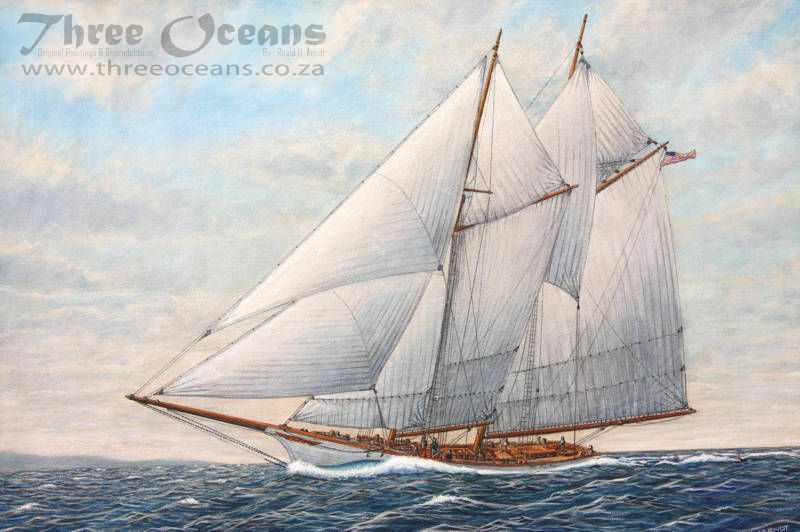 A painting of the renowned racer “America” made from a photo taken I believe 20 years after the famous win against several English yachts in 1851. The rig shown here is more modern than the original one and the hull was originally green. The ultimate sporting trophy “The Americas Cup” was named after this boat.